In the last post, Building Stateful jQuery UI Plugin Using Widget Factory, you were introduced to the working structure of jQuery UI Widgets. You learned that it uses the factory pattern is a way to generate different objects with a common interface. And that it Widget Factory adds features to jQuery plug-in. jQuery UI Widget Factory is under jQuery UI, but you can use it separately for your own widgets. In this post, you will learn the steps you can take to build your own widget. This posts walks through an implementation of the filterable dropdown from Adam J. Sontag’s and Corey Frang’s post: The jQuery UI Widget Factory WAT? My motivation in this post is to show what goes where when you are designing your widgets. And provide some direction in the steps you can take when building a widget from scratch. In this post, you will learn step-by-step to build your own custom, reusable, testable jQuery UI widget. You will extend the jQuery library with custom UI code and then use it on a page. The initial plug-in will be trivial to demonstrate the jQuery Widget Factory pattern. You will provide properties that you can change to change the look of your widget and you will provide some methods that will respond to user input. In this post example, you will learn how to create a simple click counter. Click a button, increase the count. The idea is to show you the steps to create a jQuery UI Widget. The Widget Factory system manages state, allows multiple functions to be exposed via a single plugin, and provides various extension points. In this post, you will learn step-by-step to build your own custom, reusable, testable jQuery Plugin. There are times where you will want to reuse code that performs a series of operations on a selection. For example, you may want to embed information a span element and then have that information displayed in a references section near the end of the document. In this case, the jQuery plugin is stateless. In the next post, Building Stateful jQuery UI Plugin Using Widget Factory, you will see how to create a stateful jQuery plugin using jQuery Widget. And you will see how the widget is a better solution for plugins that require user interaction, because the Widget factory helps you maintain state. When you are writing your single page application (SPA) may find that you need to check your connection. The idea is that you might have one set of logic for your connected app and another for when you are disconnected. In previous posts, AppCache for Offline Apps and Loading, Caching LoDash or Underscore Templates Using RequireJS, AppCache, you learned that your Web app did not have to be online to be run. In fact, when building HTML apps for mobile devices, you are running without a connection. So how do you check? How do you know when you can upload and download new information from the Web? Many of the comments on StackOverflow have to do with the connection hanging. The following snippets help you work around the issue. In this code snippet, you will learn how you can load the dependencies, initialize a module with values that you pass in, and then make public some of the methods. And you will see how to put files in folders to help keep identify which modules you write in your app and which modules are from third parties. When you have a JSON array, you may want to get one or more items from the array and display. jQuery offers two functions that can help: grep and filter. $.grep(). Finds the elements of an array which satisfy a filter function. The original array is not affected. $filter(). Reduce the set of matched elements to those that match the selector or pass the function’s test. In other words, $.grep() removes items from an array as necessary so that all remaining items pass a provided test; .filter() constructs a new jQuery object from a subset of the matching elements. Also, filter is intended to be used with html elements, and that is why it is a chainable function that returns a jQuery object and it accepts filters like “:even”, “:odd” or “:visible” etc. You can’t do that with the grep function, which is intended to be a utility function for arrays. When you’re loading information using jQuery AJAX, you may want to provide visual feedback when loading data or for any action that would take time. 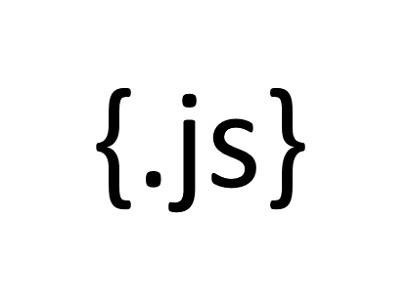 Load JSON data from a getJSON call to our server. Show and hide a spinning indicator inside a div. Bind the incoming data to a view model object. Use the view model to populate an external template. Then once the page is loaded, it will display the data based on an external template. And we’ll provide some tips on how you you can use the IsLoading library to display the loading indicator on top of the page while loading and on top of the div itself. AmplifyJS is a set of components designed to solve common web application problems with a simplistic API. Amplify’s goal is to simplify all forms of data handling by providing a unified API for various data sources. Your application may need more sophisticated control than is offered in Knockout, which provides for automatic updates in your view model. Knockout provides the observable pattern. But in the pattern described here Amplify’s publish/subscribe you do the publishing and the subscription. In this post, you’ll learn the basics of how you can implement publish/subscribe pattern on the client using Amplify. In the previous posts on promises Promises for Asynchronous Operations Using jQuery, you learned how you can build promises using jQuery Deferreds and Promises. And in External Templates Using Mustache, jQuery, you learned how to bring in an external template. It is time to show a real life example of how this code comes together. And in doing so, we have the beginning for a Single Page App. Then when all three are accomplished, you’ll use the jQuery $.when() function to render the data. As you have seen in Templates Rendering JSON Using Mustache, jQuery, you can put reusable HTML into a template and then have that template render your data. You are separating the data and providing one or more ways it can be displayed inside of a page. This post extends what you have learned about Mustache and gives an example on how you can put your template into an external file. Once in an external file, you can use it across your site whenever you need data displayed in a particular way. In our previous posts, you see how you can create templates and load them asynchronously using Knockout. But not everyone needs Knockout’s functionality. Maybe you just want to get some data and display it using a template. Mustache is a library that allows you to read in JSON formatted data and display it using templates you design. Mustache can be used for HTML, config files, source code – anything. It works by expanding tags in a template using values provided in a hash or object. Mustache is logic-less because there are no if statements, else clauses, or for loops. Instead there are only tags. Some tags are replaced with a value, some nothing, and others a series of values. Mustache provides the same functionality to libraries like underscore.js, handlebars.js, and dust.js.